Leaders giving feedback to develop their staff’s capacities has become second nature since the 80’s. How much of it is effective? What kind of ‘feedback’ is likely to assist the recipient to want to change their behaviour? If we knew this, we’d all have a key to both productivity and life enhancing organisation culture. What might be done? I notice many leaders are skilled in observing behavior and the negative affects of certain behaviors. And yet, many of the same people find giving behavioural feedback difficult. Most prefer not to do it all. Some avoid it. They fear hurting the other person’s feelings. They hesitate in case they don’t get it right. Most leaders know that as a developer of others, effective feedback can strengthen a working relationship and produce great results. So Leaders have a conflict. I’ve noticed a couple of things. One is, having good will towards the person you are giving feedback to is essential. If there is not a positive relationship, all is lost. Secondly, leaders giving feedback when they are frustrated or angry just doesn’t work. The third thing is to describe the behavior simply. 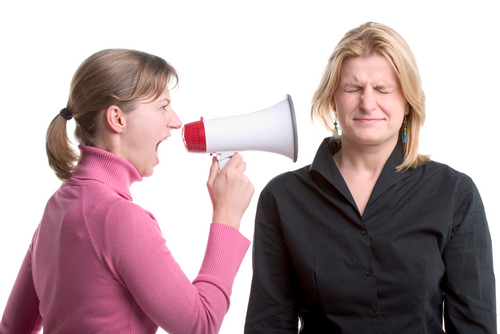 Here’s an example of a manager who habitually talks loudly when she is talking with her staff. As her boss, you have noticed this, and you can see her team isn’t engaged with her. She delivers, and is thoughtful and innovative and yet, you can see her relationship with her team could be more effective. So you might say to her ‘Are you aware your voice is quite loud when you are talking with your team?’ This is the traditional feedback. Most likely, she will say , yes, she did know that. And she might let you now how come she talks loudly. Now, here’s the third thing – letting her know how her loud voice impacts you, or others. What I am saying here is that feedback includes both a brief description – the facts – of the behaviour AND how the behaviour impacts you, others, or the task in hand. So if you are interested to coach people you work with, giving feedback is only part of the story. Encourage: I want you to have great team engagement. I could suggest two things to you if you are interested. One is to lower the volume of your voice when you are talking with your team. The other might be to ask, what do you guys think? Let’s hear from each of you.